Based on the diaries Susan has kept since she was in her twenties, The Fairy Tale Girl is an illustrated memoir filled with original watercolors and personal photographs. 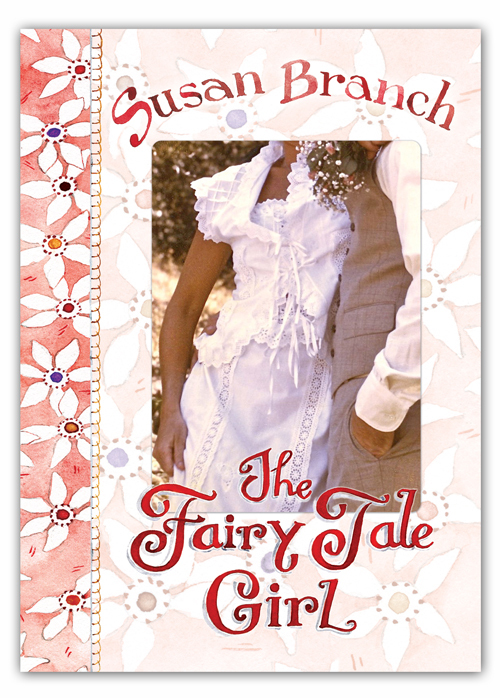 Susan's new book is an age-old story of love and loss, mystery and magic that begins in a geranium-colored house in California and ends up, like any good fairy tale, on the right side of the rabbit hole, in a small cottage in the woods on the New England Island of Martha's Vineyard. As we've heard so many times, it's not the destination, it's the journey. So, journey back to the olden days with Susan, to the 1900s, to the land of Happily Ever After, where men were men and girls just wanted to have fun ~ bring a hankie 'cause we think you might need it. Both books are prequels to Susan's last book, A Fine Romance: Falling in Love with the English Countryside. Retail price, THE FAIRY TALE GIRL: $28.95 Our Price: $23.95, signed fairy bookplate inside. Arrangements can be made for shipping overseas. Cuteness included at no additional cost. Ship date for preorders (if all goes as planned) will be September 24, 2015, maybe earlier, we hope. But for sure, the MINUTE it comes in, you come first.